Refund is not applicable on this product. One time payment and no hidden cost 1 Year free support & updates included but not in modified code. Additional years support and updates will be $39.90/year No license verification Code sharing is not allowed except within your organization. Modules updates are free for 1 year and you will get regular updates of any new version or features added. After 1 year you will have to pay $39.90/year for updates. This cost is not mandatory and purely depends upon whether you want the update(s) or not. You can purchase the updated version anytime. Your subscription will start from the date of purchase and will be valid for the next 365 days. Grow your domain business while selling domains with AWS route 53 services using our WHMCS module. The entire process will consist of the auto-provisioning as you do not need to perform any manual activation. 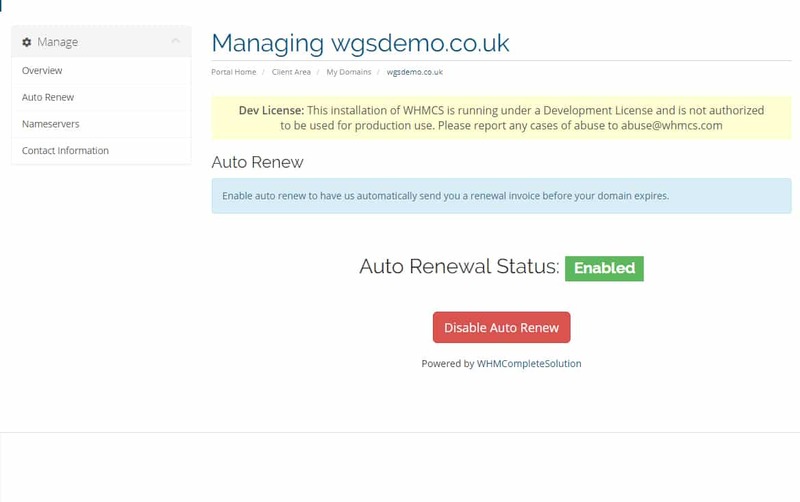 Whenever the user will purchase domains, their domain will get registered without logging to the AWS login panel within the WHMCS module. As soon as you will receive the response from AWS, the domain will be automatically activated. 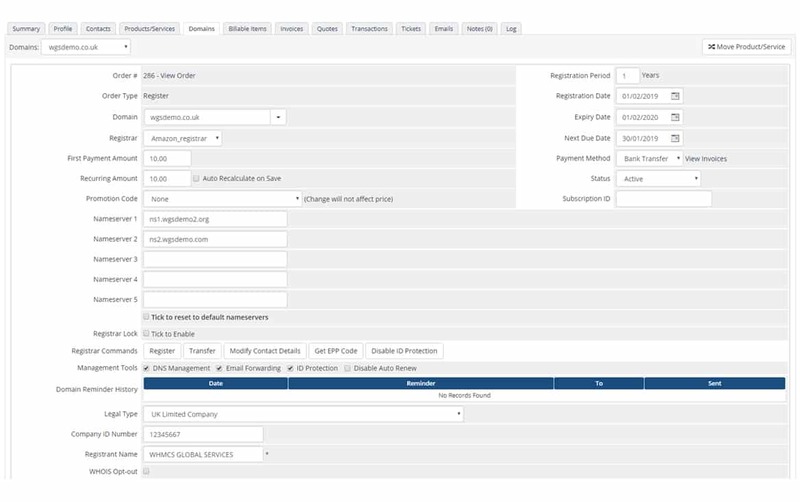 After the successful payment, the customer can view the status and continue while logging into the dashboard. 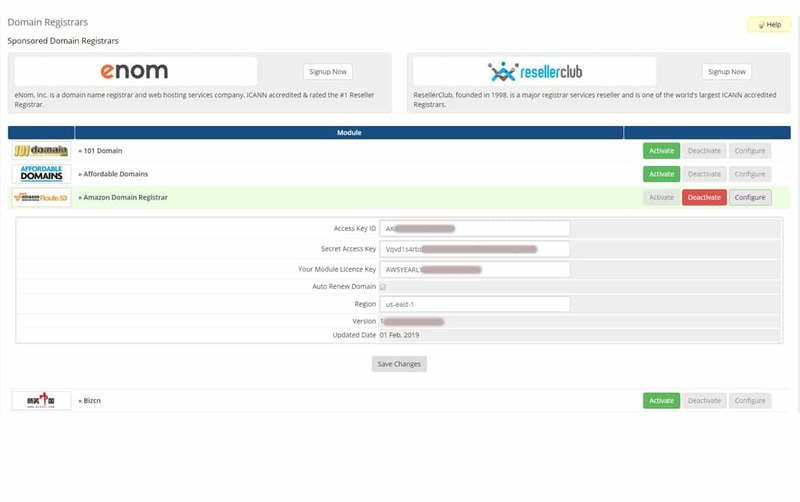 The customer can register the domain within our WHMCS module which will make the whole process automatic without logging in to the AWS login panel. Your registered users attain the option to transfer a domain to the WGS Amazon if they find the services of third-party perturbing. This IDProtect Toggle option will provide you the option to whether to enable or disable the contact details of the owner. The generated EEP code provides the security measure with which only the domain owner has the allowance to perform some specific functions on the domain name. Within our WGS Amazon WHMCS module, we provide the registrar lock which prevents the unauthorized domain transfers. This feature is enabled for the entire domains. We, at WGS, keep your entire domains locked to make them secured all the way. If your customer alters any details, it will automatically unlock and re-lock the domain name. 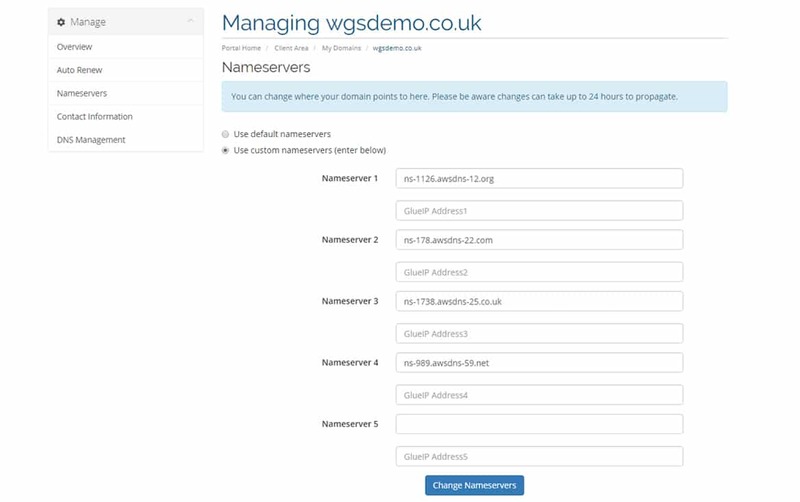 With the help of our WGS Amazon WHMCS module, your customers have the option to manage the custom nameservers for the particular domain. Whenever any customer registers their domain, allow them to manage their contact details. 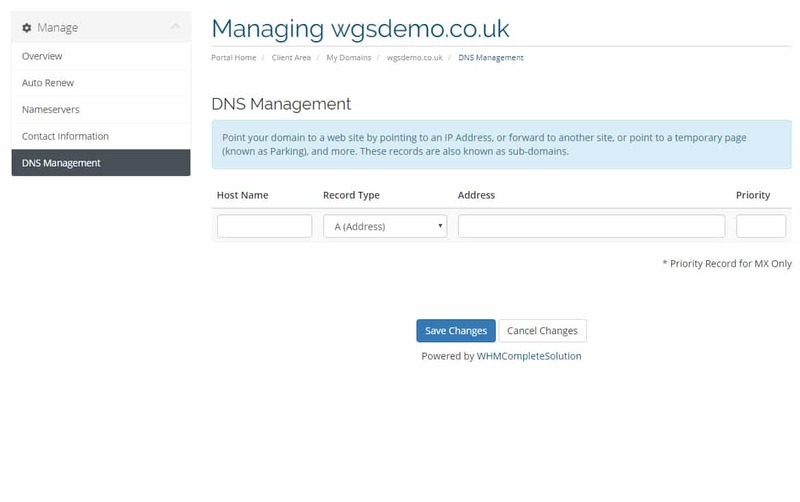 Your customers have the option to manage DNS records.